Patient comfort is important to us. Most of our patients after treatment say "Wow - I didn't feel a thing"
The fear of the dentist also known as dental phobia or dental anxiety is a very real condition that many people face which causes them to avoid visiting the dentist. As a result a person’s oral health can suffer, deteriorating over time due to a lack of care. Dental anxiety can be overcome using a variety of techniques including gentle dentistry and sedation. 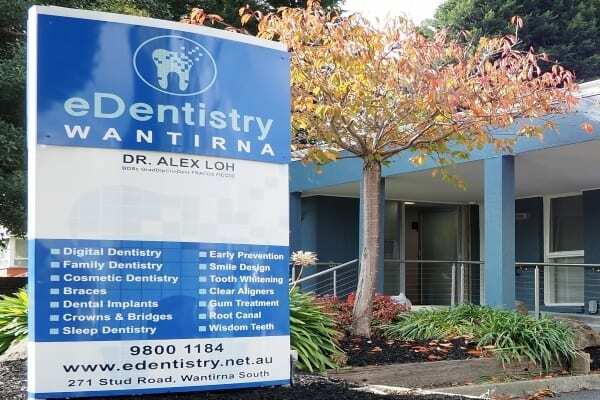 How does sedation or sleep dentistry help with dental anxiety? The various forms of sedation can make your visit to the dentist a pleasant one. With sedation you are made to feel comfortable and relaxed, relieving you of anxiety so you can receive the treatment you need. If you suffer from dental anxiety and fear visiting the dentist then our dental clinic is ideal for you. We offer a range of sedation and sleep dentistry options along with gentle treatment by highly experienced and friendly dentists. Call now or book online today! At eDentistry we offer a range of sedation options to help with anxiety, the level of sedation is tailored to each patients individual needs. Those who are mildly anxious requiring minor procedures like dental fillings often only require mild sedation such as sleeping tablets or happy gas, while patients who have severe dental phobia and require more complex treatment like oral surgery would be more suited to intravenous sedation or general anaesthetic. To learn more about the type of sedation best suited to you and discuss how you can tackle your dental anxiety, speak to the friendly team at eDentistry today! This is the most commonly prescribed form of sedation for anxiety and taken in the form of tablets. It is also known to be the most cost-effective and convenient form of sedation in dentistry. Happy gas or inhalation sedation is administered using a gas mask or nasal hood. Happy gas or laughing gas as its commonly known works very quickly with the relaxation and pain-killing effect taking place within a matter of 2-3 minutes. The effects are also known to wear off quite quickly with the gas being fully cleared from the body within 3-5 minutes leaving no ‘hangover’ like effects. Methoxyflurane is a volatile liquid which has a characteristic odour and administered using an inhaler (known as the Penthrox inhaler). Methoxyflurane has an analgesic effect as well as a sedative effect. The analgesic effect happens fairly quickly while the sedation can take a more time. Intravenous sedation (or IV sedation) is when a sedative medication is administered into the bloodstream using an IV drip. IV sedation can be done at the dental clinic itself and administered by trained dentists. Although it is often known as sleep dentistry, IV sedation does not involve the patient being asleep, in reality you may be conscious during treatment and can respond to your dentist. However, you may not always remember everything after treatment as IV sedation often results in partial memory loss during the period of treatment. General anaesthesia is when the patient is fully unconscious right through the procedure. In order to administer GA an anaesthetist is required along with special equipment, hence treatment must be done in a hospital setting. General Anaesthesia is usually considered as the last resort for sedation due to its slightly higher risks and requirement of special equipment.